Have you found that no matter how vigorously you exercise or how clean your diet is, you cannot seem to get rid of the dreaded “bra bulge?” Do you dread getting dressed every day because your bra digs into your armpits and back, creating noticeable bulges and lumps? Our talented body contouring surgeon George Sanders offers a safe, lasting solution to bra bulge that will help you achieve the slim, smooth appearance you desire. Sometimes bra bulge is simply caused by an ill-fitting bra. The first course of action is always to seek out a professional bra fitting, which may easily rectify the problem. When the problem is not bra fit but rather stubborn back and armpit fat and/or loose skin, genetics are often to blame. Some women are simply genetically prone to store fat in their upper bodies, and the fit of their bra makes no difference. Others start to notice a change in fat distribution as they age, and can no longer confidently wear the sleeveless or strapless styles they used to love because of bulging or rolls. Other patients notice looser skin as they age that contributes to the bra bulge. What is particularly frustrating about bra bulge is that it can affect otherwise slim, active women — even supermodels! A few years ago, supermodel Chrissy Teigen famously admitted to having bra bulge removed to help her feel more confident wearing dresses. What Can Be Done About Bra Bulge? Chrissy opted for the gold standard of fat reduction: liposuction. The surgical procedure is the oldest and best-known option to get rid of problematic fat rolls and bulges around the body. During a liposuction procedure, Dr. Sanders creates several miniscule incisions in the targeted area (whether it be the upper back, armpit area or both). He inserts a thin, hollow tube called a cannula under the skin and moves it back and forth to break up the fatty tissue. Then, he removes the fat from the body with gentle suction. 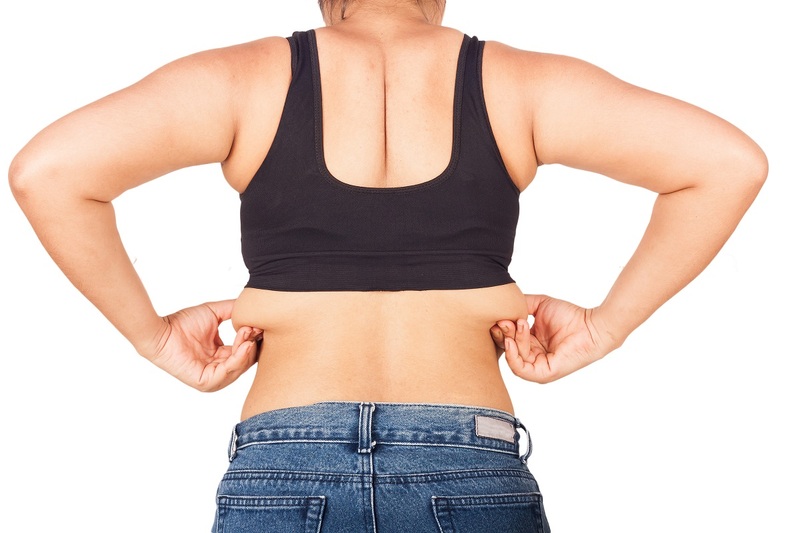 Once the fat cells have been removed, they do not return to the treated area. After liposuction, the back and armpit areas look smoother and lingerie and clothing no longer fit strangely. In some cases there is a significant amount of loose skin as well, particularly in women who have lost a great deal of weight or are developing the loose skin with age. They may benefit from skin removal as well as liposuction. To discuss your personal body contouring goals with Dr. Sanders, we invite you to schedule an informational consultation. Please call or email us today to request an appointment.